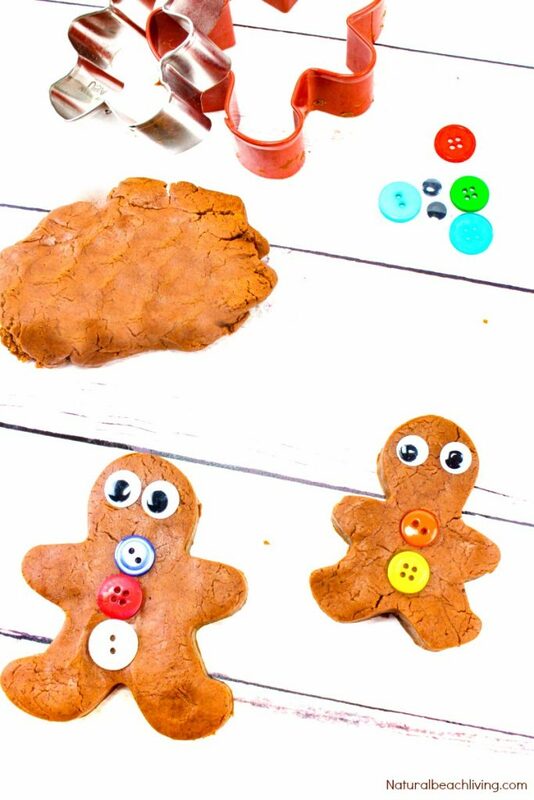 This Gingerbread Playdough Recipe is a perfect winter sensory play activity. 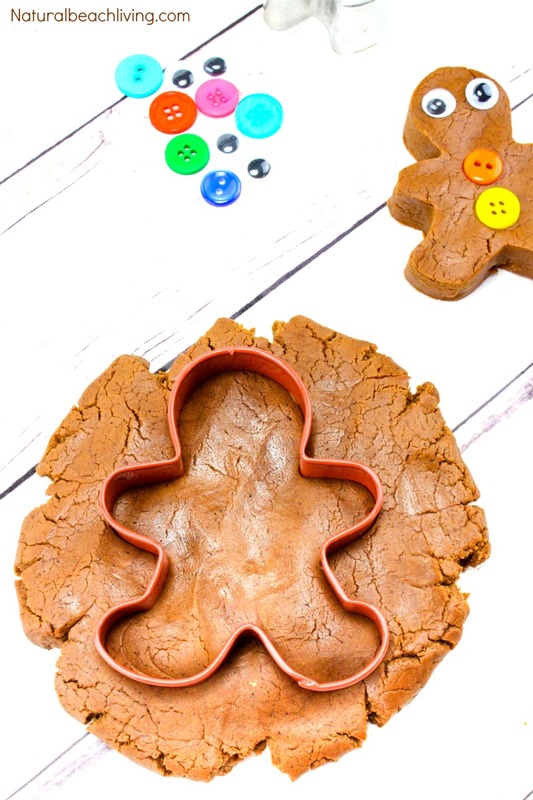 After making gingerbread slime and falling in love with it, we knew we needed to add gingerbread playdough to our winter activities. 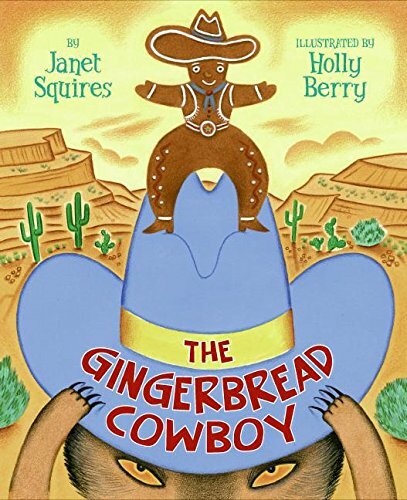 Since we are currently enjoying lots of Gingerbread activities, this fits right in. 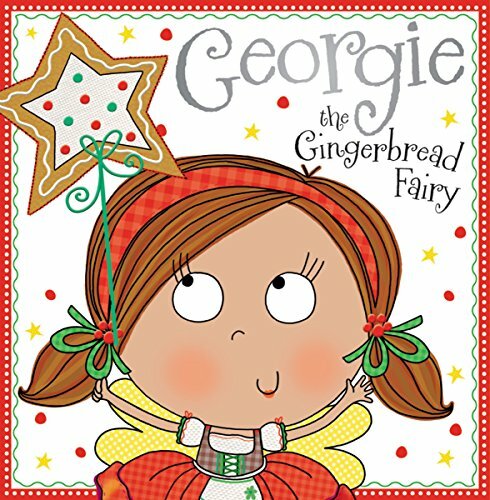 Pair it with a great gingerbread man book, and you’re all set for a day of creating. 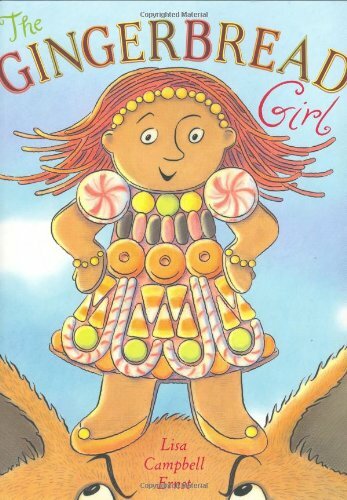 This recipe is also a fantastic homemade playdough without cream of tartar. 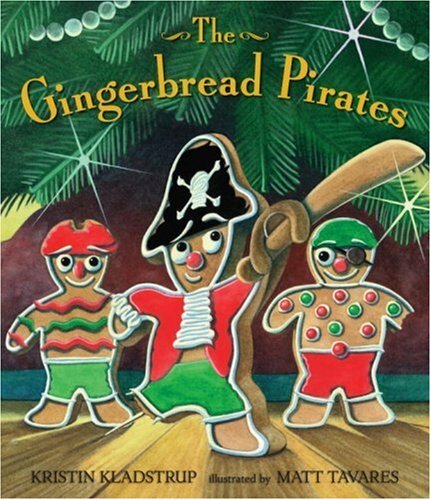 A favorite homemade playdough for the Christmas season. 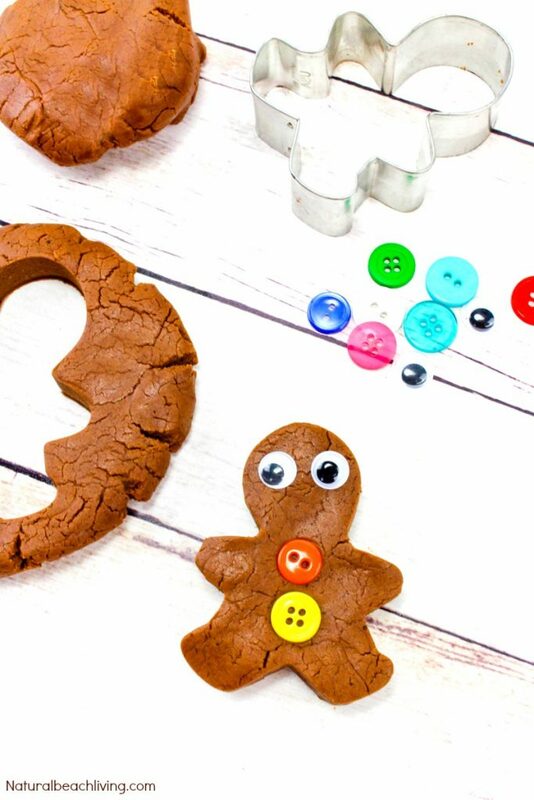 Combine gingerbread playdough and a few loose parts, like googly eyes and buttons for your child to make their own gingerbread man just like the one you read about. 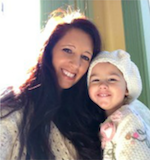 This taste safe recipe is perfect for toddlers and preschoolers although you wouldn’t want your children eating this for a snack the ingredients are edible. Have fun! 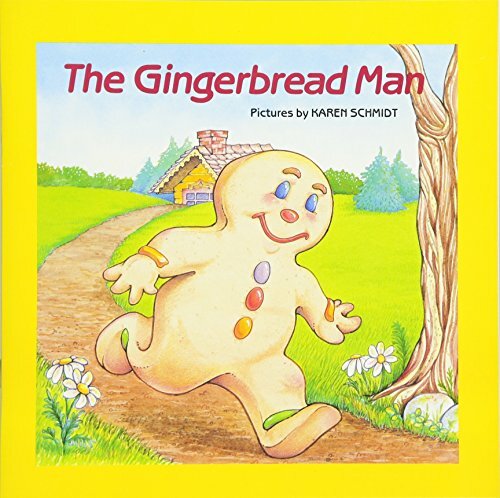 What you will need to make your Homemade Gingerbread playdough is in this picture below. However, I have it displayed in list form towards the bottom of the page. Enjoy! 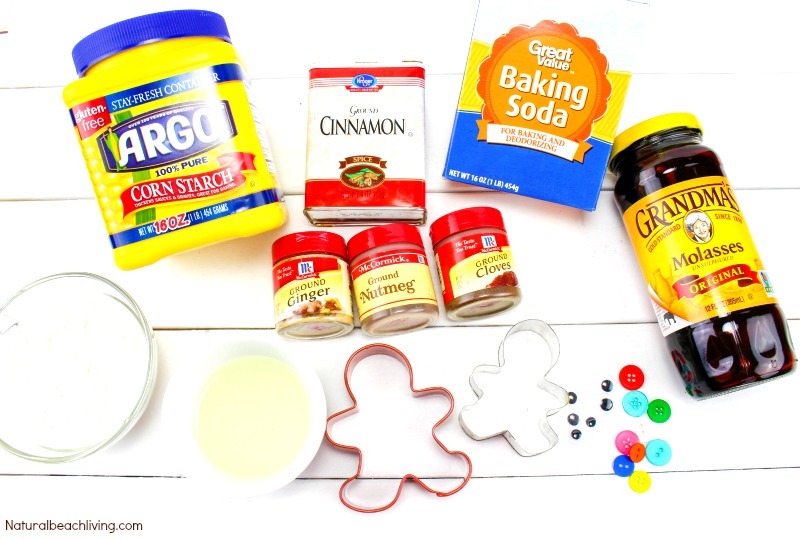 Start by adding your dry ingredients (except flour): Mix the cornstarch, baking soda, and spices in a mixing bowl. Next mix in your water, oil, and molasses. Lastly, Add in the flour and mix well until the dough is all combined. 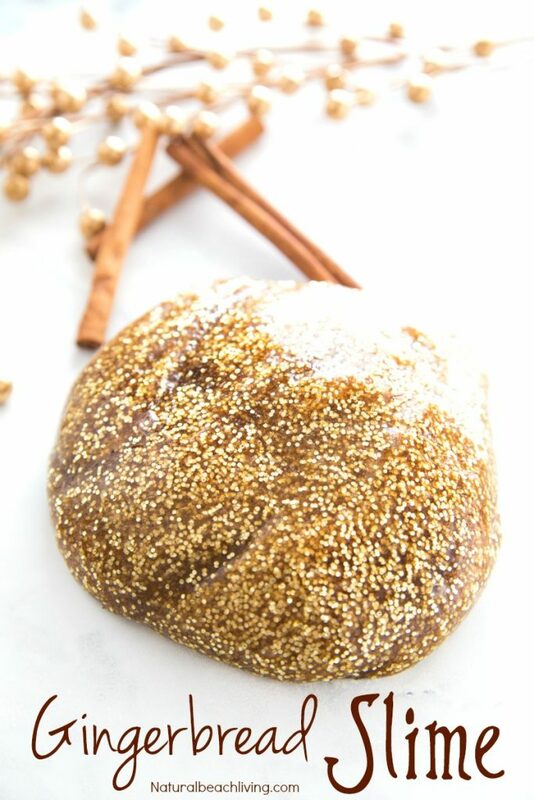 The dough should be smooth and not sticky. You can add a teaspoon or two more of flour if necessary, just don’t add too much or it will get crumbly. 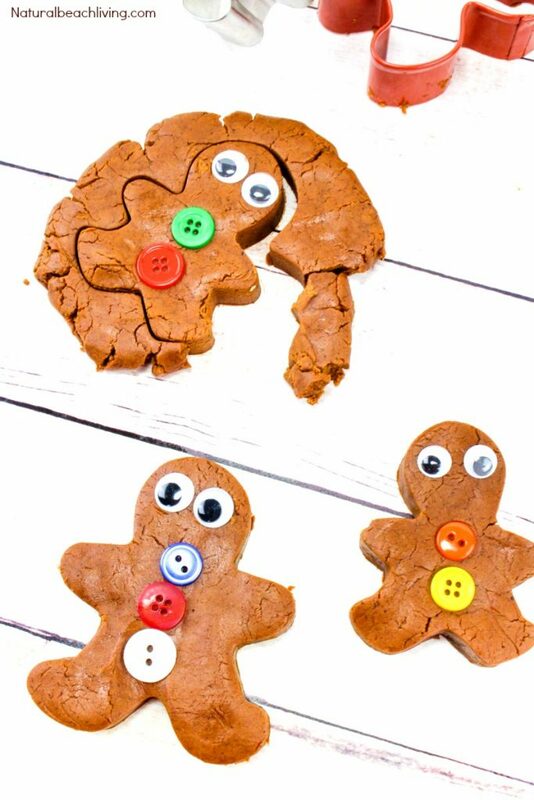 Look how pretty this taste safe gingerbread playdough recipe looks. It smells yummy and feels soft and smooth. Perfect scented playdough for the holiday season. 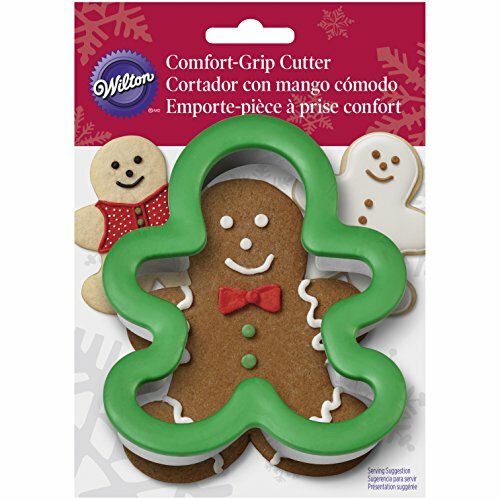 Roll or pat out the dough and make little gingerbread men with the cookie cutters. 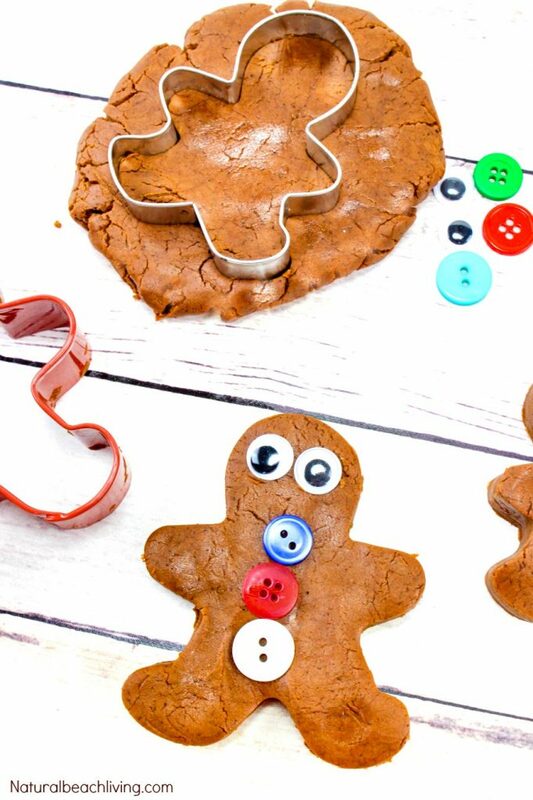 Decorate with the eyes and buttons. 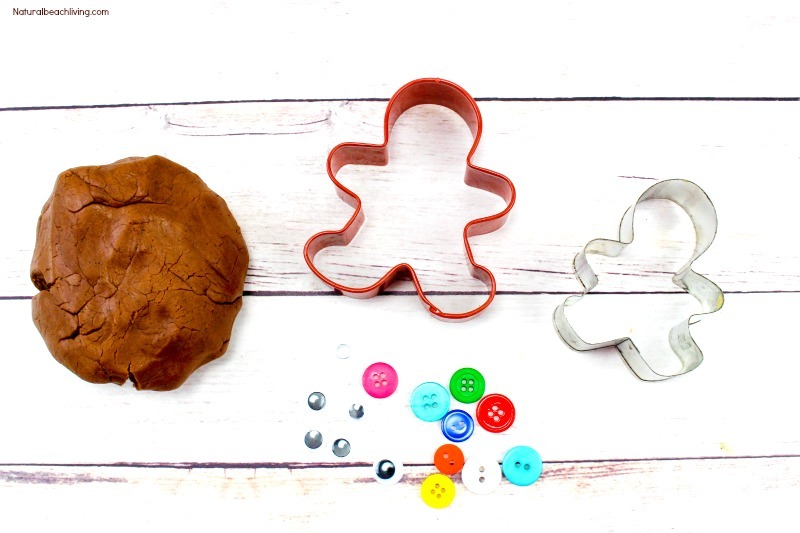 Kids love playing with this homemade playdough. 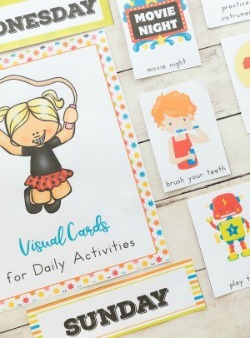 The naturally scented playdough makes for a perfect sensory experience. 1. 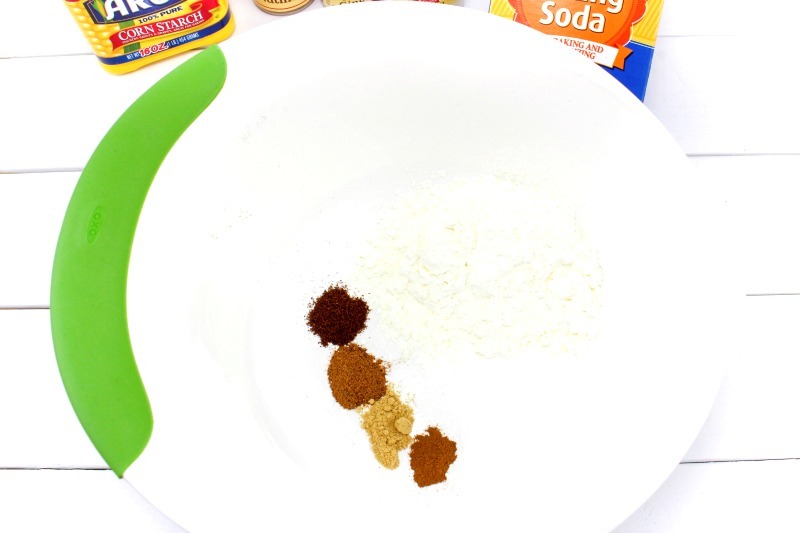 Mix the cornstarch, baking soda, and spices in a mixing bowl. 2. 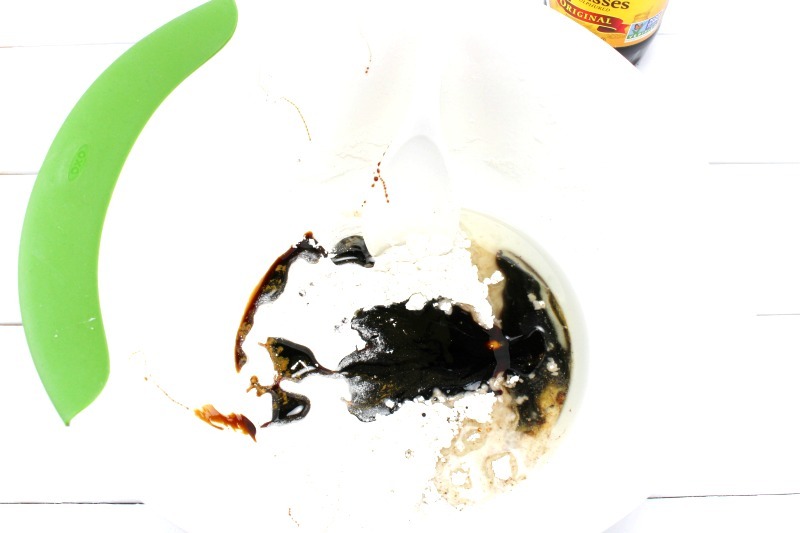 Mix in the water, oil, and molasses. 3. Add in the flour and mix well until the dough is all combined. The dough should be smooth and not sticky. You can add a teaspoon or two more of flour if necessary, just don’t add too much or it will get crumbly. 4. 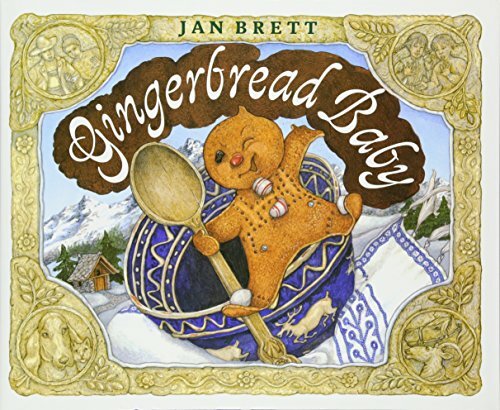 Roll or pat out the dough and make little gingerbread men with the cookie cutters. 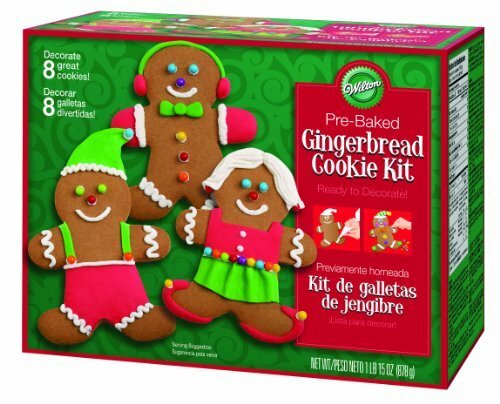 Decorate with the eyes and buttons. 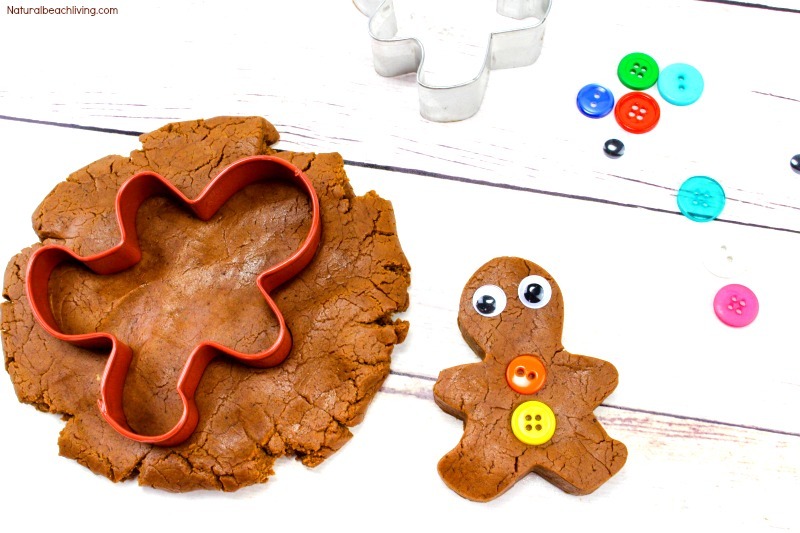 Kids will have lots of fun playing with this scented gingerbread man playdough!